Hendrik Meurkens and Gabriel Espinosa have established a relationship that seems to allow them to make recordings as if they have known each other for years. This is a good sign. It means that Mr. Meurkens has another one of his groups to make music with. He is fast becoming a superstar of his instruments: the harmonica and the vibraphone. He has superb technical skill and expression on both of the instruments. On the harmonica he is now the bona fide heir apparent to Toots Thielemans, the great Belgian who started it all. On vibraphone Mr. Meurkens simply does not play enough. His wonderful dynamics and great warmth of expression makes him an instrumentalist to reckon with. 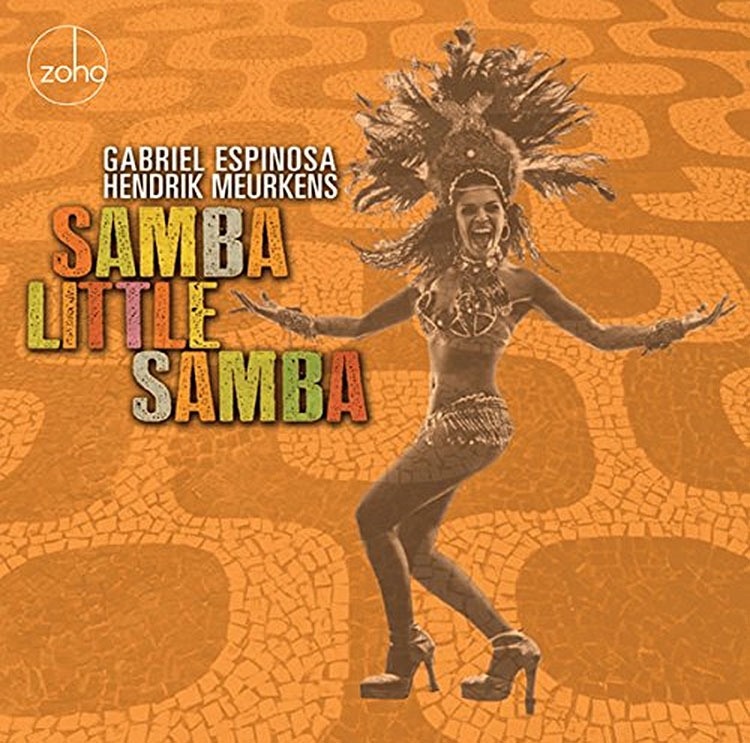 This partnership with the bassist Gabriel Espinosa has yielded two Zoho albums so far: Celebrando and now Samba Little Samba. Both are superb recordings. The latter is much more mature and seems to stretch further than the Latin rhythmic realm into a much wider one. 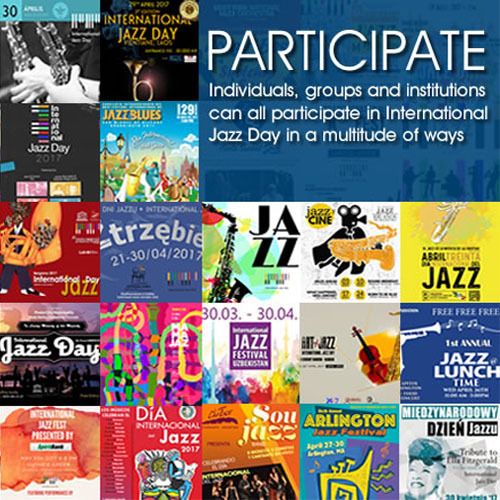 Add to that the fact that the recording features such luminaries as Anat Cohen on clarinet and tenor saxophone, Tierney Sutton on a magnificent bi-lingual version of “Besame Mucho” and the drummer Antonio Sanchez. The musicians are also joined by the vocalist Alison Wedding whose achingly beautiful voice makes this a fine vocal album as well. The recording opens with the frisky title tune “Samba Little Samba” which holds the attention of the listener from the first bars. Opening with such a danceable chart is always a good thing. It sets the pace for the rest of the album. This is not to say that the album races onward with fast paced music. The soulful version of “Besame Mucho” is a case in point. This unusually slow and languid version of the song features rather revealing vocals by the co-leader on this set Gabriel Espinosa. The bassist has shown here as elsewhere on the recording that he is a rather good vocalist as well. His singing is subtly expressed and is always graceful throughout. On the chart in question Tierney Sutton is, as usual, sublime. Forced to sing out of her comfort zone, the singer sounds poised and in control and shows why she is one of the finest in her art. The choro—and there is always one on a recording with Hendrik Meurkens—is a fine example of Mr. Meurkens’ Brazilliance, a facet of his personality that sometimes goes unnoticed when his virtuosity on harmonica is being discussed. Mr. Meurkens spent much time in Brasil. His music took root there and he is so proficient in the choro rhythm that he might as well be a native Carioca, or a Paulista. “Choro de Neve” is a fine showcase for the harmonica. It also features the magnificent clarinet of Anat Cohen and that is an inspired idea for the production of the chart. Ms. Cohen is one of the finest clarinetists and her work on “A Night in Jakarta” is also tremendously beautiful. She has a splendid tone on this instrument. This and her virtuosity and ability to add beautiful colours to whatever she plays makes her one of the foremost clarinetists of her generation. Misha Tsiganov is the pianist on this recording and he leads a rhythm section that is superb at all times. Mr. Tsiganov is a recurring feature with Hendrik Meurkens and also anchors his regular New York ensemble, which also includes the wonderful drummer, Adriano Santos the Brasilian who adds colour to Mr. Meurkens playing. Mr. Tsiganov is a gifted pianist and plays both fast and slow tempi pieces with gracefulness and sure-footedness. He can make the most complex Brasilian figures sound so simple and beautiful and does so repeatedly on this recording.